Teri's World with Harley: Finally, I am sleeping again, really! Honestly, since menopause started for me sleeping or lack of it has gone up to a top 10 focus. I now have the night sweats under control with bio identical hormones, thank you Palm Beach Compounding Pharmacy, still sleep is tentative! I have tried everything I could think of for relief. I tried our Menopause Formula which gives hundreds of happy customers a respite. I tried acupuncture and Chinese herbs, no luck. I got a reference to a herbalist in Texas who compounded special tea for me, that was some awful stuff, I drank it even though I thought I was poisoning myself, still no help. I omitted hot and spicy foods and drinks from my diet, gluten, the list goes on and on. I was diligent for over a year. Since then I have read and continue to read every story and investigate all the claims that cross my path on how to get a better night’s sleep. I used Melatonin for a while which offered me sound sleep. Unfortunately, a very small percentage of people are allergic to melatonin and when the itchy bumps started I guessed I was one of them, rats. Several weeks ago I read an article about magnesium, hmm could this be helpful? A small study was done to test the theory that mineral deficiency could be the cause of restless sleep patterns. Seems as we age we release more cortisol when we sleep. How unfair is that, stress hormones while we sleep. That certainly helps me understand why sleep might be less peaceful. One group got supplements of magnesium to bowel tolerance, usually between 500 mg and 1,000mg each day. This group 's results which were verified through testing showed more “slow-wave sleep”, this is the pattern we need to have sound, restful, restorative sleep. Well, I had not heard this information before and the article makes sense. This information came to me from the March 28,2011 Nutrient Insider, which our friend Gino shared with me. By now you know me, the test was on I had to try the theory. 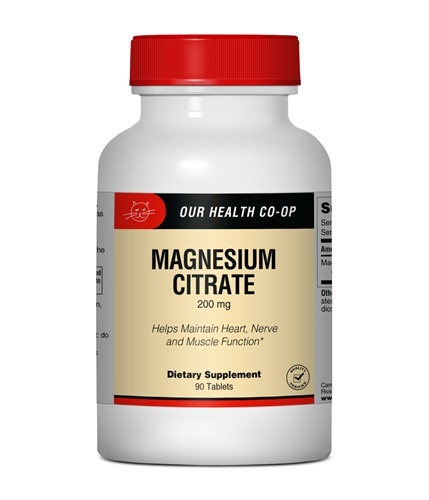 We offer Magnesium Citrate which I use in addition to our Calcium & Magnesium supplement to keep from getting constipated, sorry if that is too much information. I upped my Magnesium to 3 200mg capsules each day. This test has been going on for about three weeks and honestly I feel more rested. I don't have more sleep time just a more rested feeling. The report mentioned any of these magnesium supplements are equally well absorbed magnesium chelate, glycinate, ascorbate, or citrate. Apparently, if you are using Melatonin or any other aide for sleep your rest could be enhanced if you are low in minerals and add magnesium. If anyone decides to give the magnesium test a try I would love to hear your results. I do use magnesium, and i think it helps a little. But, I buy our magnesium malate from Amazon. 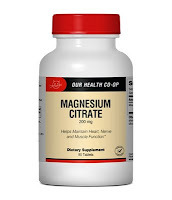 This form is supposed to have less bowel-loosening side effects than other magnesium formats. I'm definitely going to try this! I have not been sleeping well at all. Hope this helps!